CHICAGO (WLS) -- A delay in the delivery of custom steel parts has forced a delay in planned lane closures around Chicago's Navy Pier this weekend. CDOT will announce a new date for the work to begin. Once the project gets underway, on Grand Avenue, the two westbound lanes of Streeter Drive and Lake Shore Drive will be closed. The Navy Pier flyover will connect the two halves of the lakefront trail to create a continuous 18 mile ribbon along the lakefront. It's scheduled to be completed in 2018. 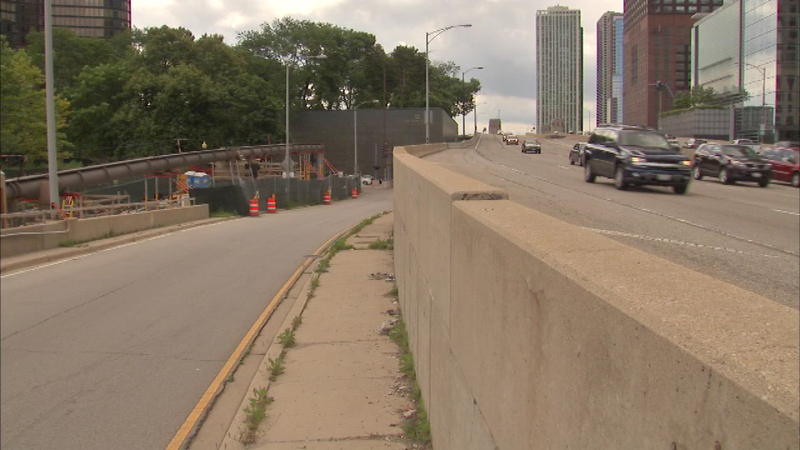 The lane closures will continue during construction and affect the two lanes of Upper Lake Shore Drive.